Our locksmiths have the latest training and technology and are able to work quickly. At Locksmith San Diego, we can handle all of your automotive locksmith needs. Contact us today at (866) 306-8557 to speak with a member of our team. 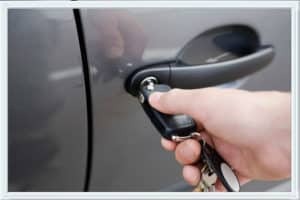 Our Auto Locksmith San Diego and North County services are available 24/7! 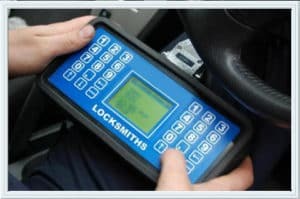 Are you looking for a fast and professional locksmith who can assist you when you are locked out of your vehicle? If so, you have come to the right place—7 Day Locksmith! 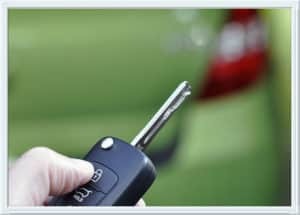 Our locksmiths service the San Diego, CA area and are experienced, friendly, and dedicated to providing you with the Car locksmith San Diego services you need. As a locally owned company, your satisfaction as our customer is very important to us! Auto Locksmith San Diego is one of the best companies today. We provide a full 7 days service for customers so we can assure you that your problem will be addressed. There is no lockout situation that we can handle. Our most reliable and professional technicians have handled multiple tasks over the years, making them competitive enough to solve your lock and key problems.. The main goal is to help you with your problem. We want you to feel satisfied in our service. We can cut, shape and program keys, no matter the type of your vehicle will be. We developed a reliable expertise regarding the field, harnessing licensed and insured technicians that can help you solve the problem. 7 Day Locksmith wants to give genuine help and attention during your urgent technical issues. We will bring success to your needs by the use of our efficient approach. The idea is to give support and extra level of attention to the customer’s demands. We believe this is what will catapult us to the top With our accomplishments and expertise, we truly think we are the best people to help you. Whatever lock or key problems you are having, just call us and we will help you. Our service promises a 20 minute arrival time so it will not take long to be at your place. 7 Day Locksmith wants to help immediately and efficiently which is why we are available anytime you need us. We want you to feel that everything will be taken care of because you deserve the best! 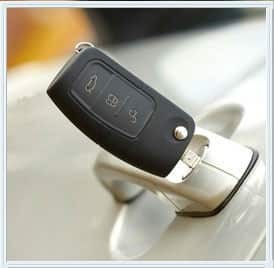 Car Locksmith San Diego can handle various automotive ignition keys. We are specialized in this field so we promise nothing but great satisfaction in the end. Auto Locksmith San Diego provides replacement, duplication of vehicle keys and other auto locksmith services that you can really rely on. You can access us anytime you want, and we will be there to help you every step of the way. We have our well trained professionals to help you with your problem. They are experts, skilled, licensed and insured so you can totally rely on them. They are properly trained to do the job, not to mention their several years of experience in doing the business. The job particularly done would be cutting and programming keys for your vehicles. This might take time, but our technicians have expertise to do this. You can trust them with whatever auto lockout situation you have. We also have the technology to program the replacement of your key set depending on what you need. Year after year, we have managed to establish specific, measurable, achievable and promising objectives for our customers. We have continued serving people to the best of our ability, which made us the number one auto lock service company. Our mission is to serve a lasting purpose to our customers. We want to leave them with a smile on their faces. Our services will definitely make them feel at ease. With the kind of service we give, we can assure you that you will never have to worry about your security again. Most of our customers call us because of lost keys. There are numerous times that they lost their keys, and have absolutely no idea how to get inside the car or house. The worst case scenario would be losing your car keys at your office when there is no one to help you, and you’re out in the cold. Others experience not being able to get in their own house while it is freezing outside. We have handled multiple situations before. This is enough assurance we can give you that we can really help you. Our mission has always been to help you. We want to be there when you need us. A lot of customers in our company have all become loyal to us because of the exquisite care we gave them during the times of needs. They saw real and raw dedication in us. We believe that all customers deserve to be treated at its best. This is our promise to all of you. We want you to feel taken care of, because that has been our primary goal since then. All you have to do is give us a quick call. Just dial our number and we will be there to help you. Within 20 minutes time, we will reach your place, having all the necessary technologies and tools we need to help you. Our services are all tested by a lot of customers. The bigger purpose we serve is not to impress, but to help. 7 Day Locksmith wants you to feel well taken care of. We deeply know that our customers deserve to have the best. Aside from convenience, reputation and objectives, you should trust us because we give love for what we do. We consider it as our huge advantage against other competencies. The fact the we ranked number one in all the autolock companies, reveals our great dedication and hardwork. Our promise is to serve at its finest. We want you to feel assured that you that you will not be disappointed. The company wants to solve your lock and key issues in the most immediately and efficient way. We believe that our people will be the best to help you with your concerns. Car Locksmith San Diego will be by your side. We will be there to assist you whenever you need help. We offer 24/7 services intended for customers in San Diego. We know that this field requires so much attention that’s why we made our services available and accessible whenever you need it. Auto Locksmith San Diego is here to help you. We can help you anytime, anywhere. All you have to do is trust us and believe that we can solve this together! Our goal is to bring ultimate satisfaction, so customers like you can go on with a secured and eased sense of manner. 7 Day Locksmith is here for you. With our passion driving us to perform better, we can assure you a outstanding services all day and all night!